ABS-CBN Features The 7TH TV Series Craze Awards 2016 in "FPJ's Ang Probinsyano"
Aside from "Till I Met You," ABS-CBN also recognized and featured our very own The 7TH TV Series Craze Awards in the hit primetime action-drama TV series, "FPJ's Ang Probinsyano." 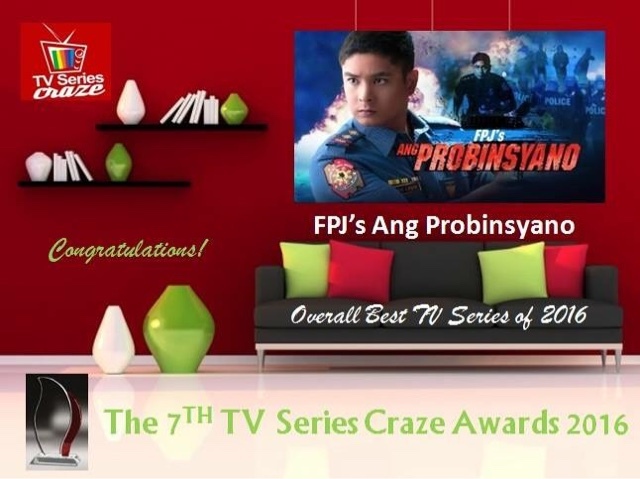 Just like the JaDine teleserye, "FPJ's Ang Probinsyano" is also the biggest winner who bagged the most number of awards including the Overall Best TV Series of 2016. 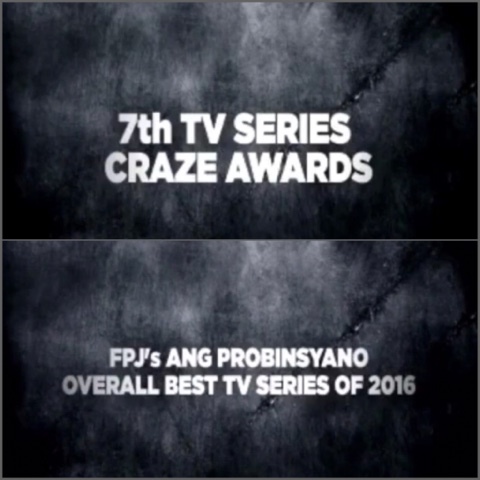 Just recently, ABS-CBN aired a new version of the said TV plug featuring the awards received by "FPJ's Ang Probinsyano" in our very own 7TH TV Series Craze Awards 2016. The Major Award Received by "FPJ's Ang Probinsyano"
The three major awards received by "FPJ's Ang Probinsyano" are the Overall Best TV Series of 2016, one of the Hottest Love Teams of the Year for McLisse, and the Leading Man of the Year for Coco Martin who is the lead character in the series!